Is a sequel finally coming after all these years? Let the speculation commence. It has been more than 10 years since Ubisoft released the critically acclaimed Beyond Good & Evil in 2003. Since that time, there have been numerous false starts and rumors related to the development of a sequel, and it is time to add more speculation to the fire. According to a filing (via Dual Shockers) with the European Union Intellectual Property Office, Ubisoft has filed a trademark for Beyond Good & Evil in the categories of game software, online components to game software, paper products, clothes, and games and playthings. This doesn't mean too much other than Ubisoft may just be trying to keep its hands on the IP. If the game is still in development, that is pretty important obviously. 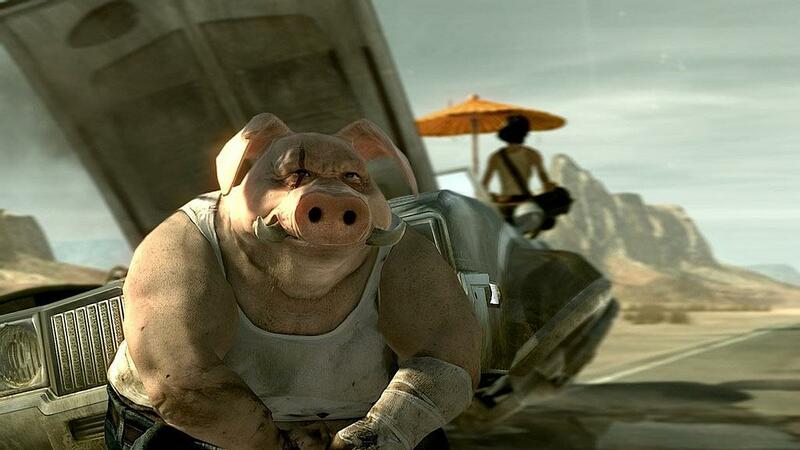 Beyond Good & Evil 2 was announced back in 2008, with some concept videos supposedly leaked the next year. A report surfaced in 2011 that the game was still in development, but had taken a backseat to Rayman Origins, and by 2012, Ubisoft was still saying the game was in "active creation." Then last month, Destructoid reported on a rumor that Nintendo was funding the game to be an exclusive for the upcoming Nintendo NX. The game had previous been announced for Xbox One, PlayStation 4, Wii U and the PC. Whatever the truth is, I'd love to see a sequel to BG&E for the PC. The original was fun and engaging. Hopefully, this is more than just a tease. Give him a break, he just started here. Yeah, yeah, bite me. Trying to get used to the Shack CMS again vs. 2.5 years of The Escapist's system. Luckily Steve to the rescue to remind me of how to do it right. Well, if The Last Guardian is released next year, then I guess BGE2 can also happen, right? I would also love remaster of the first one WITH INVERTED Y-AXIS OPTION ADDED. I can't play the original because of the controls. I don't know who decided to change the PROPER y-axis orientation to inverted, but it's a DAMN SHAME. Also BGE2 rumered to be an NX exclusive (as noted in the article). I had the same problem with the 360 version but now that it's backwards compatible on the Xbone you can invert the y axis using the Xbox Accessories app. So keefer is back then?? Don't call it a comeback, he's been here for years. I have always been here and I will always be in your nightmares. But yes, I started writing for the site again as of today. Don't call it a comback, he'll have hair for years. When can I be an improper keefer?